Is that my new chewing toy? 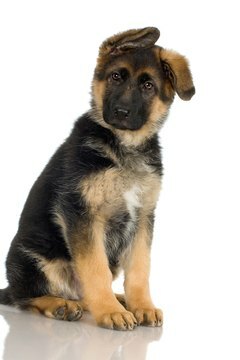 There are two reasons puppies might bite babies: out of jealousy (What's that thing and why is he here to steal my thunder?) or just because they're being puppies. After all, puppies bite anything, alive or not. To keep both baby and puppy safe, implement some rules. Keep puppies and babies under constant supervision. That means never leaving them in the same room alone, not even for a couple of seconds. If you can't supervise their interaction, put them in separate rooms. Or try putting the puppy in his kennel. 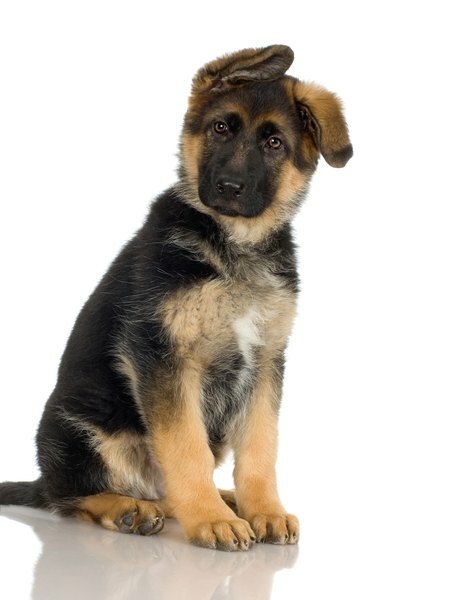 Train the puppy to control his bite impulse. Puppies explore the world through their mouths—and that includes chewing, biting and mouthing everything. Correcting this behavior when he's with you will also teach him that it's not OK to bite anybody, including the baby. To curb the biting impulse, immediately say, "No!" when the puppy bites. Use a very loud voice so you startle the puppy. You can also use a can filled with coins or another loud noisemaker and shake it near him every time he bites you. Keep Baby's hands under control—especially when he starts to crawl and can reach the puppy even if he moves away. Don't let the baby pull ears or tails, grab or hit the puppy. Even if he's just expressing enthusiasm, the puppy might interpret it as an attack and defend himself—or he might see it as a green light to wrestle the small creature following him around. Provide the puppy with plenty of chewing toys. Puppies need to chew and they might be less inclined to chew on the baby if they have something else available. Soft chew toys are ideal if the puppy is teething, but provide some hard chew toys as well. Flavored chew toys are even more attractive. The Parenting Passageway: "HELP! My puppy is biting my toddler!" Why Do Chihuahuas Growl & Bite?